Tom Stevenson explores the real story behind the man, the myth, and the wine, before sampling two contrasting vintages of Dom Pérignon and seven vintages of Oenothèque. It was Dom Grossard, the last cellar master at the Benedictine Abbey of Hautvillers, who started the persistent rumor that one of his predecessors, Dom Pérignon, had invented Champagne. In a letter to the deputy mayor of Aÿ, he wrote: "As you know, Monsieur, it was the celebrated Dom Pérignon who found the secret of making white sparkling wine." But of course that was more than a century after Dom Pérignon's death. Grossard did not know Dom Pérignon, whereas his successor Frère Pierre did. 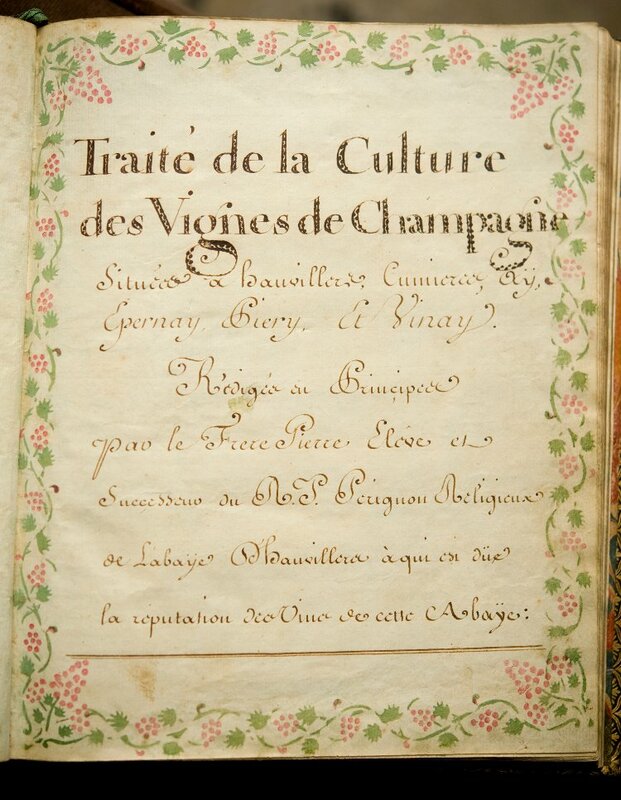 In 1724, just nine years after the death of his mentor, Frère Pierre wrote a 35-chapter treatise called Traité de la Culture des Vignes de Champagne, which fastidiously recorded Dom Pérignon's achievements, practices, and working principles. Yet nowhere in this detailed document can we find any mention of sparkling Champagne, let alone the slightest hint that it had been invented by the modern world's most famous Benedictine monk. 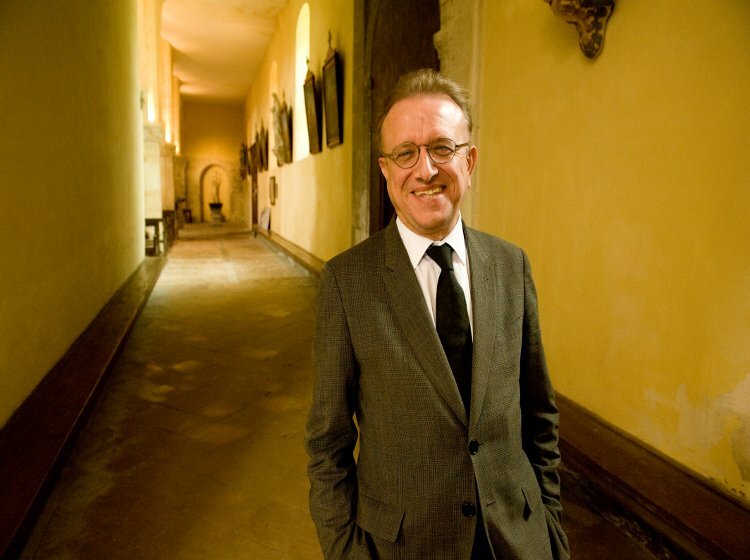 Although Dom Pérignon is still occasionally and erroneously credited in the popular press as the inventor of Champagne, no well-researched writer or historian today believes Grossard's fabrication. Not even Moët & Chandon now attempts to hoodwink the public. Certainly not Richard Geoffroy, the cellar master of Champagne Dom Pérignon, who is quite content to let the great man's reputation rest on his true accomplishments and to emulate his quest to produce one of the greatest wines in the world. As some vintages of Dom Pérignon clearly demonstrate, Geoffroy and a few of his predecessors have been remarkably successful in achieving just that. The Dom Pérignon brand was originally owned by Champagne Mercier, but it had never been used, and it came into Moët's possession as part of Francine Durand-Mercier's dowry when she married Comte Paul Chandon-Moët in 1927. Curiously, the first vintage of Dom Pérignon was 1921, harvested six years prior to the acquisition of the brand. It gets more curious. The 1921 was shipped in 1936, but one year earlier another Champagne was shipped in an identical replica 18th-century bottle, and it had the same classic shield-shaped label, right down to Deletain's motif of vine shoots and grape bunches running up both sides. The vintage was 1926, and despite looking exactly like the Dom Pérignon that would be shipped a year later, there was no mention of the Dom Pérignon name, just "Champagne specially shipped for Simon Brothers & Co's Centenary 1835-1935." Simon Brothers was then Moët & Chandon's London agent, and two bottles of this Champagne were sent in a picnic hamper to 150 of its best customers, which included the elite of British society. Some of these bottles were shared with American friends, and word quickly filtered across the Atlantic. Moët & Chandon soon found itself inundated with demands for this very special Champagne to be commercially available in the States, which is why 100 cases of the 1921 vintage were shipped to New York in 1936. These bottles could not bear the Simon Brothers name, of course, so a new brand had to be created, and it was Moët's marketing director (later to become chairman) Comte Robert-Jean de Vogüé who decided to name it after the legendary Dom Pérignon. It was also a nice touch that he chose the 1921 vintage, which was a much greater year than 1926, making the Americans feel more important, rather than just an afterthought. That is how we end up with the younger 1926 being released before the more mature 1921. The Simon Brothers' Centenary Cuvée was not the first Dom Pérignon, but it was clearly the precursor to Dom Pérignon. My assertion that the first vintages of Dom Pérignon (1921, 1928, 1929, and possibly 1934) were transvasaged is something that has always intrigued today's cellar master. Although Geoffroy has never overtly agreed with me on this point, he has also never been able to counter the logic of the transvasage argument. The crux of the matter is all in the timing. Dom Pérignon 1921 was not only the first vintage of Dom Pérignon, it was also the very first prestige cuvée to be commercialized. The notion of a prestige cuvée was not conceived until 1932, when it was proposed by Laurence Venn, an English journalist and the UK marketing consultant to the Syndicat de Grandes Marques de Champagne. The Great Depression hit the UK in 1929 but did not begin to affect the French economy until 1931. Between these two dates, all the great Champagne brands reacted to falling sales by slashing prices and, to maintain at least some profit, by cutting costs, but sales and prices plummeted at such a rate that no amount of costcutting could stop the losses. Houses went broke or sold off vineyards, and not a few blamed their London agents, firing them in the process. At a meeting of the syndicat in 1932, when Venn was asked how Champagne houses could revitalize sales in the UK, he proposed the production of a luxury cuvée. He said it must be of exceptional quality, sold in a replica of an original 18th century Champagne bottle, and should cost more than twice the price of the most expensive Vintage Champagne ever sold. They thought he was mad. How could they be expected to sell a luxury cuvée at an unprecedented high price when houses could not even sell cut-price Champagne? Venn pointed out that this could be achieved by targeting the British aristocracy, one of the few sectors of the market capable of such extravagances during hard times. This advice was soundly rejected by almost everyone in the syndicat. Just one person did not think that Venn was mad, and that was Robert-Jeande Vogüé of Moët & Chandon. He took Venn to dinner that evening and picked his brains -- and within three years, 300 replica 18th-century bottles of Champagne were winging their way to 150 of Simon Brothers' best customers. It is no coincidence that the recipients were mostly members of the British aristocracy or that this promotional exercise generated a commercial demand for Champagne of an unprecedented quality and price -- albeit from the opposite side of the Atlantic than had been anticipated. From the above sequence of events, it is clear to see that the bottle did not come first; the vintages did. The idea of replicating an 18th-century bottle was not even discussed until 1932 and did not make its debut until 1935, long after the first vintages of 1921, 1928, and 1929. It is just possible that the 1934 was fermented in the replica bottle in which it was sold but not really likely, since that would have taken place two years before the Simon Brothers Centenary Cuvée had generated any demand for a fully commercial prestige cuvée. Even the 1943 is dubious. Would they bother in the middle of a world war? Would a replica 18th-century Champagne bottle even be available under such circumstances? Or did they leave it until after the war and transvasage it like the rest? The logic of the transvasage argument is hard to deny, particularly for the first three vintages, but could easily be disproved by an invoice supplying Moët with replica 18th-century Champagne bottles 11 years before Venn's radical proposal (which is on record in the archives of the Syndicat de Grandes Marques de Champagne). Such documentary evidence has yet to materialize. Nor would there have been anything wrong with the early Dom Pérignon vintage being transvasaged; it would have been a necessity of the time. These lieux-dits are still extremely important to the heart and soul of Dom Pérignon, but after the acquisition of Lanson in 1990, its 200ha (500 acres) of prime vineyards were retained by Moët for the growth of its top cuvées, while the brand itself was quickly sold on. 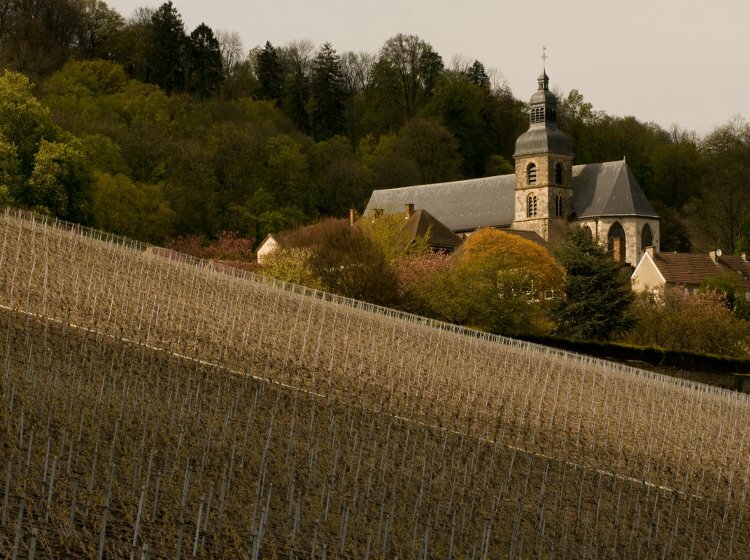 Yves Bénard, who was the chairman at the time, stated that these vineyards would enable the company "to increase the production of Dom Pérignon and Moët Vintage cuvées without sacrificing quality." As can be seen on the map opposite, these vineyards bolstered all core source vineyards apart from Hautvillers and Le Mesnil-sur-Oger. 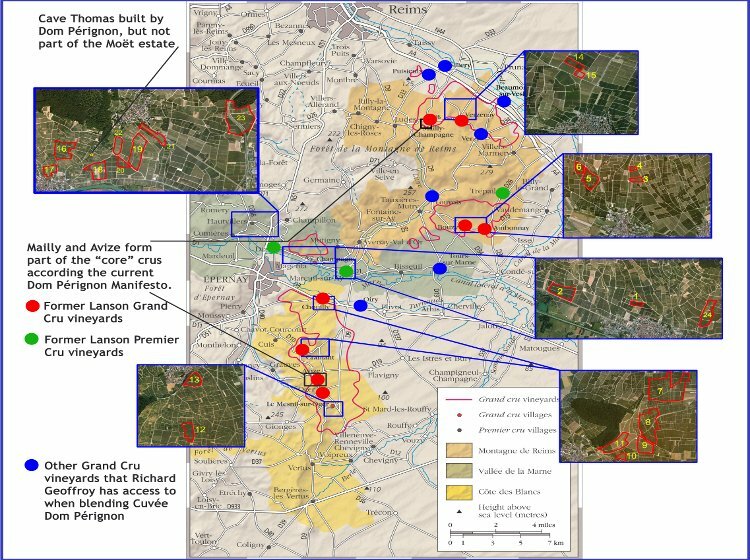 Lanson's vineyards at Mailly and Avize quickly became part of Geoffroy's expanded core of crus, and according to the Dom Pérignon Manifesto, it "also has the exclusive privilege of being able to select grapes from all 17 grands crus of Champagne to orchestrate its vintages." Of these additional grands crus, Sillery, Verzy, and Oger are used most frequently, while Oiry, Tours-sur-Marne, and Louvois are rarely found in the blend, and Beaumont-sur-Vesle and Puisieulx are hardly ever used. Dom Pérignon is a devil of a wine to blend impeccably vintage in and vintage out - and as they say, the devil's in the detail, so this is ridiculously simplistic - but the most dominant crus in most Dom Pérignon vintages seem to me to be Aÿ, Bouzy, Verzenay, and Hautvillers for Pinot Noir, and Cramant and Le Mesnil-sur-Oger for Chardonnay. The varietal breakdown of Dom Pérignon in recent decades has been exclusively Pinot Noir and Chardonnay, the aim always being to achieve a seamless 50/50 impression in the mouth, whatever the actual proportions. Geoffroy has never had a formulaic approach. Each variety has its own strengths, and they alter from year to year and from cru to cru, so the precise proportions are seldom exactly 50/50. With a unique range and depth of crus from which to choose, Geoffroy can be, and usually is, ruthless in his selection. No wood has been used for Dom Pérignon since 1964. The wines are all stainless-steel-fermented in a classic reductive style ("Oxidation is our sworn enemy," claims the manifesto rather dramatically) and used to be released after 6 or 7 years, though that is slowly creeping up, as is the time between disgorgement and shipment, not to mention the price. In fact, the only thing going down is the dosage. In 2000, the Dom Pérignon Oenothèque range was launched, with a rotating release of small volumes of older vintages going back to 1959. Geoffroy believes that great Champagne slowly evolves through three levels of plénitude (literally "fullness," but "degree of depth, length, mellowness, and complexity" might be a closer, albeit a more clumsy, definition). In his own words, the first plénitude occurs when a Champagne is newly released (typically brioche, citrus fruit, honey, and mild spices); the second plénitude happens at approximately 12-15 years of age (when toast, nuts, biscuit, chocolate, and spices come into play -- this is the earliest stage at which Dom Pérignon Vintages are rereleased as part of the Oenothèque range); and the third plénitude materializes after 20 years or more (when it yields a deeper, more powerful flavor of leather, spices, cigars, and blossoms, with nuances of sandalwood, musk, new leather, truffles, and spices). At Christie's Champagne Masterclass in London in December 2012, we tasted two vintages of Dom Pérignon and seven of Dom Pérignon Oenothèque, five from magnum.